Below you fill find all funeral homes and cemeteries in or near Grundy Center. 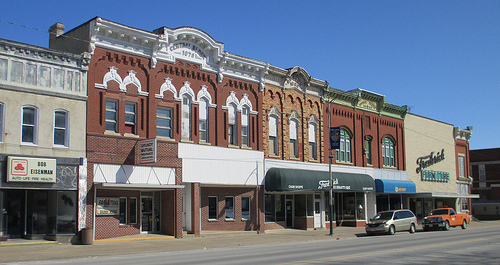 Grundy Center is also known as: Grundy County / Grundy Center city. Zip codes in the city: 50638. Some of the notable people born here have been: (ziggy hasbrook), (robert hugh willoughby), (lance horbach), and (elisha avery crary). Grundy Center is a city in Grundy County, Iowa, United States. The population was 2,706 at the 2010 census a 4.2% increase from 2,596 at the 2000 census.Grundy Center is part of the Waterloo–Cedar Falls Metropolitan Statistical Area. It was reported by Waterloo/Cedar Falls Courier on January 27th, 2019 that Baat Lee Fisher passed away in Grundy Center, Iowa. Fisher was 71 years old. Send flowers to express your sorrow and honor Baat Lee's life. It was written by Waterloo/Cedar Falls Courier on January 22nd, 2019 that Johanna "Jo" Coffman passed on in Grundy Center, Iowa. Coffman was 92 years old. Send flowers to share your condolences and honor Johanna "Jo"'s life. It was written by Waterloo/Cedar Falls Courier on January 20th, 2019 that Kenneth Russell Richter perished in Grundy Center, Iowa. Richter was 92 years old. Send flowers to share your condolences and honor Kenneth Russell's life. It was noted by Waterloo/Cedar Falls Courier on January 13th, 2019 that Timothy Allen Clark passed on in Grundy Center, Iowa. Clark was 59 years old. Send flowers to express your sorrow and honor Timothy Allen's life. It was disclosed by Waterloo/Cedar Falls Courier on January 3rd, 2019 that Viola M "Vi" Peters (Meyer) died in Grundy Center, Iowa. Ms. Peters was 97 years old. Send flowers to express your sorrow and honor Viola M "Vi"'s life. It was reported by Waterloo/Cedar Falls Courier on December 31st, 2018 that Robert H Renken died in Grundy Center, Iowa. Renken was 97 years old. Send flowers to express your sympathy and honor Robert H's life. It was written by Waterloo/Cedar Falls Courier on December 27th, 2018 that Julia Muller (Henze) passed away in Grundy Center, Iowa. Ms. Muller was 90 years old. Send flowers to express your sympathy and honor Julia's life. It was reported by Waterloo/Cedar Falls Courier on December 20th, 2018 that Darlene A Smoldt (Willms) perished in Grundy Center, Iowa. Ms. Smoldt was 80 years old. Send flowers to share your condolences and honor Darlene A's life. It was revealed by Waterloo/Cedar Falls Courier on December 18th, 2018 that Gleneva Fern Wardius (Multhauf) passed away in Grundy Center, Iowa. Ms. Wardius was 95 years old. Send flowers to express your sympathy and honor Gleneva Fern's life. It was written by Waterloo/Cedar Falls Courier on November 18th, 2018 that Elmer D Willms passed on in Grundy Center, Iowa. Willms was 89 years old. Send flowers to express your sorrow and honor Elmer D's life. Grundy Center is a city in Grundy County, Iowa County, Iowa, United States. The population was 2,596 at the 2000 census. 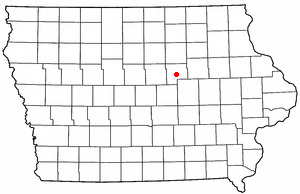 It is the county seat of Grundy County, Iowa County . . . The official website for the city of Grundy Center is http://www.grundycentergoodlife.com/. Public visitation from 4 to 6 p.m. today at French-Hand Funeral Home, Reinbeck. Memorials: may be directed to Cedar Valley Hospice, 310 E Avenue, Grundy Center, Iowa 50638. Listing all funeral homes in Grundy Center, Iowa so you can easily send flowers to any location (same day delivery) or find any funeral service. Find monuments & Monuments in Grundy Center, IA. Read business reviews, find driving directions, and more. monuments on YP.COM. Simon, Joe - Engelkes-Ables Funeral Home, Grundy Center, IA : Reviews and maps - Yahoo! Local, 319.824.3319. Get Ratings, Reviews, Photos and more on Yahoo! Local. The finest roses, gifts and Mother's Day flowers delivered fresh. Serving Grundy Center, Iowa, surrounding suburbs and the entire country. We work with local florists and flower shops to offer same day delivery. You will find budget sympathy flowers in Grundy Center here. Our funeral flowers are cheap in price but not in value.